Very comfortable yet stylish apartment; clean and beautifully decorated. Friendly host and a good location close to the beach promenade. Great spot to use as headquarters when exploring Pompei, Sorrento and other nearby wonders. 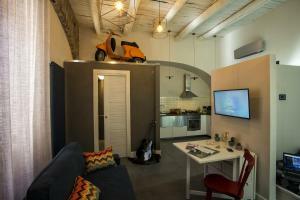 Lovely studio apartment, so unique and amazing design. Very well equipped, loved the speakers in the walls and the lighting was great. Comfy bed. Clean. Great air con, shower, kitchen. Owners very nice. Ideal for a couple. Our first time in Castallammare di Stabia and we found it ideal for getting to Sorrento and Pompei with decent train links. The town itself is quite relaxed and not touristy. Good restaurants and bars. The promenade is nice to walk along in the evening. Danilo and his wife try to make your stay as perfect as they can. Starting from a welcoming check-in with fresh fruits on the table, to a beautiful apartment with all the latest high-tech equipment and them being very helpful at all times. You can see the love put in the apartment, everything is thought of. Castellammare di Stabia is a peaceful place to travel around the Amalfi coast and to travel to the Vesuvio & Pompeij, with some great restaurants in walking distance. We had a perfect stay, grazie mille! 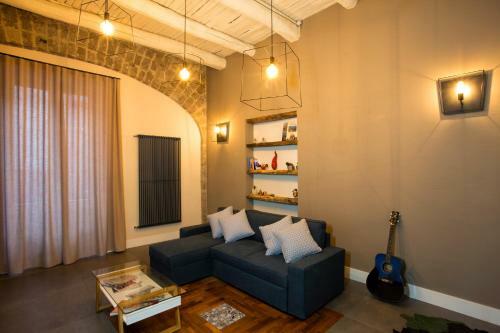 A large loft renovated and furnished with skill & taste. Supermarket & a good restaurant within a few meters. And the wonderfull long coast promenade around the corner in an unspoiled beach town. What a fantastic place! The interior design was top-notch and of high-quality, perfect location (only 30 sec to the sea) and Danilo was an excellent host who always made sure that I was happy. I would definitely recommend and come again! 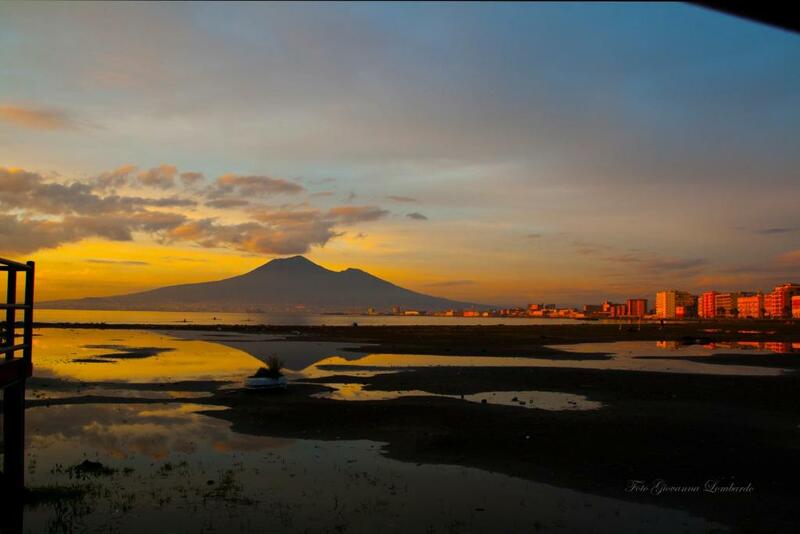 Castellammare di Stabia is lovely and a great way to see the real Italy. Restaurant-wise I recommend the pizza at Ristorante Pizzeria Francesco & Co. which is directly opposite the apartment and a 3 min walk takes you to the only Michelin star restaurant in Castellamare di Stabia called Piazzetta Milù - definitely worth a visit. The house was very beautiful, had a lot of character and very comfortable. the host Anna was very helpful and extremely nice! Thank you for everything! 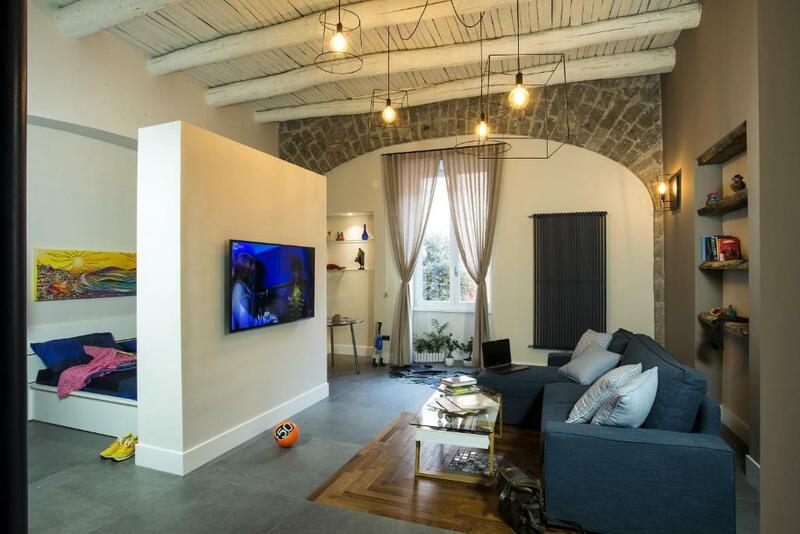 Very nicely decorated apartment, recently renovated in full respect of the structure of the ancient tannery. The owners are very friendly, welcoming and helpful. Die Schlüsselübergabe war absolut problemlos. Wir haben Danilo eine Stunde vor Ankunft angerufen. Die Unterkunft ist modern und sehr geschmackvoll eingerichtet. Ein Platz um sich wohl zu fühlen. Obwohl Tannery House an einer viel befahrenen Straße liegt, konnten wir dank der gut isolierten Fenster bestens schlafen. Die Matratzen sind ebenfalls sehr angenehm gewesen. Zur Strandpromenade sind es nur wenige Meter (Quartier liegt sozusagen in der zweiten Reihe). In unmittelbarer Nähe befindet sich ein gut sortierter Supermarkt. Wir bekamen von Danilo gute Tipps bezüglich Essen gehen. Wer hier wohnt, sollte unbedingt im ca. 200 m entfernten Restaurant Cupptie Seafood essen. Tagesausflüge an die Amalfiküste, Capri, Ischia, Pompeji und Neapel lassen sich von hier aus prima machen. Neapel und Pompeji sind gut und günstig mit dem Zug zu erreichen. Bahnhof liegt nur 15 Gehminuten entfernt. Nous recommanderions cet établissement, pour son emplacement, les aménagement intérieur, le prix et la propreté. Nous n'avons vraiment rien à redire. Toutes les petites attention à notre arrivée, café, croissants le premier matin. Tous les draps de bain en excellant état et surtout propre. 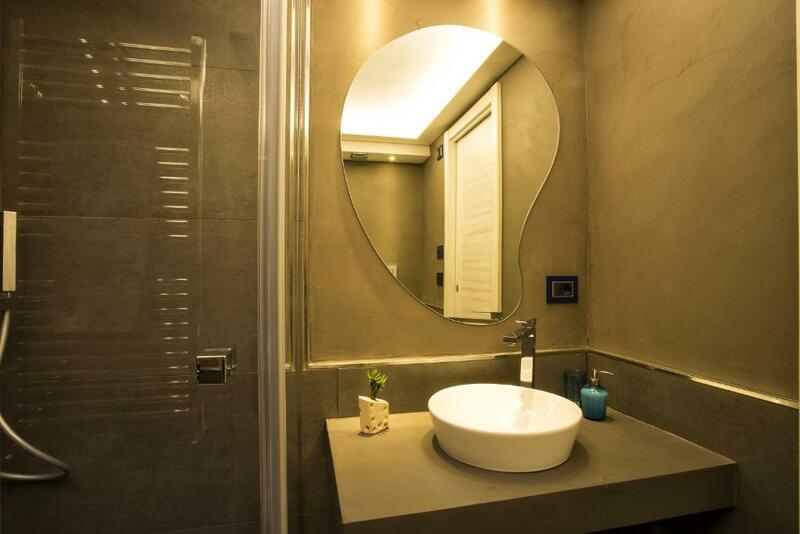 Lock in a great price for Tannery House Stabiae Sorrento Coast – rated 9.8 by recent guests! One of our best sellers in Castellammare di Stabia! 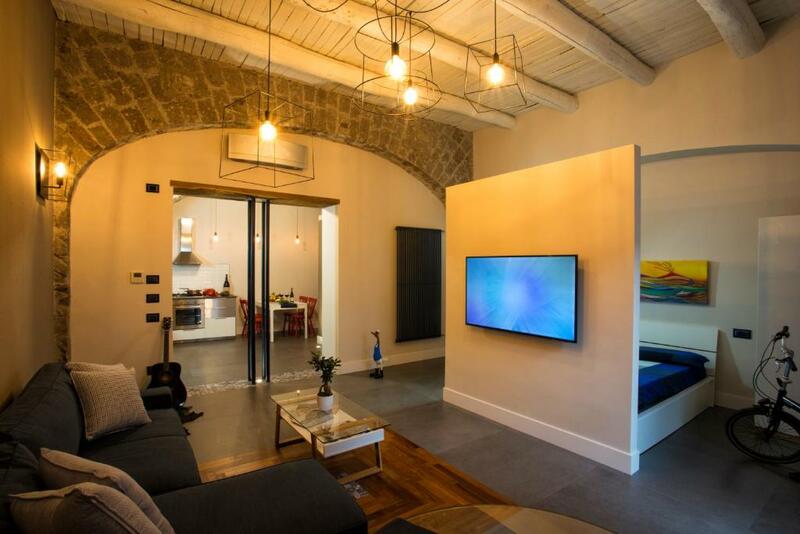 Located in Castellammare di Stabia, Tannery House Stabiae Sorrento Coast has accommodations with seating area. Free WiFi is featured. 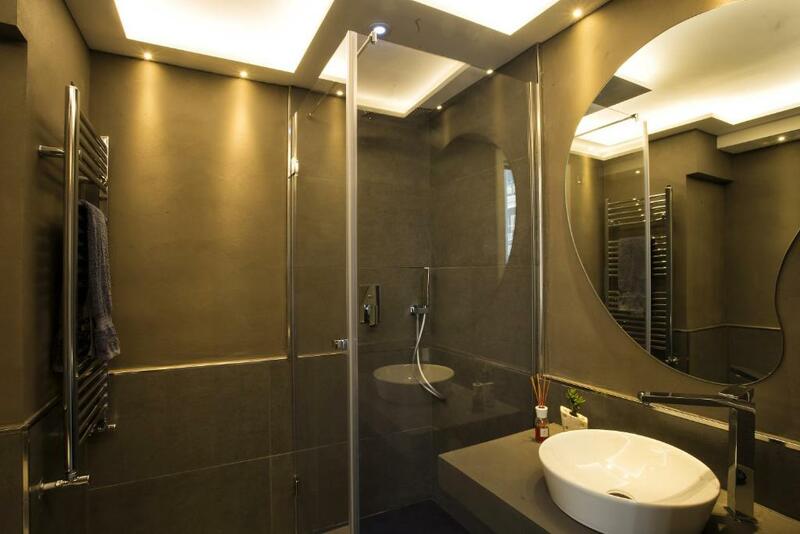 Fitted with a patio, the units feature a flat-screen TV and a private bathroom with bidet. There's also a kitchen equipped with a dishwasher and oven. Naples is 19 miles from the apartment, while Sorrento is 11 miles from the property. Capodichino Airport is 20 miles away. This property is also rated for the best value in Castellammare di Stabia! Guests are getting more for their money when compared to other properties in this city. 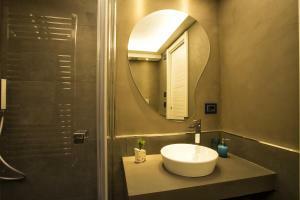 When would you like to stay at Tannery House Stabiae Sorrento Coast? Tannery Suites Sorrento Coast are situated at a few paces from the romantic seafront on castellammare, near one of the most famous and crowded streets of the city. Distinguished by an elegant and minimalistic style, they represent the ideal solution for those who travel with their families and choose a high quality and relaxing sojourn. 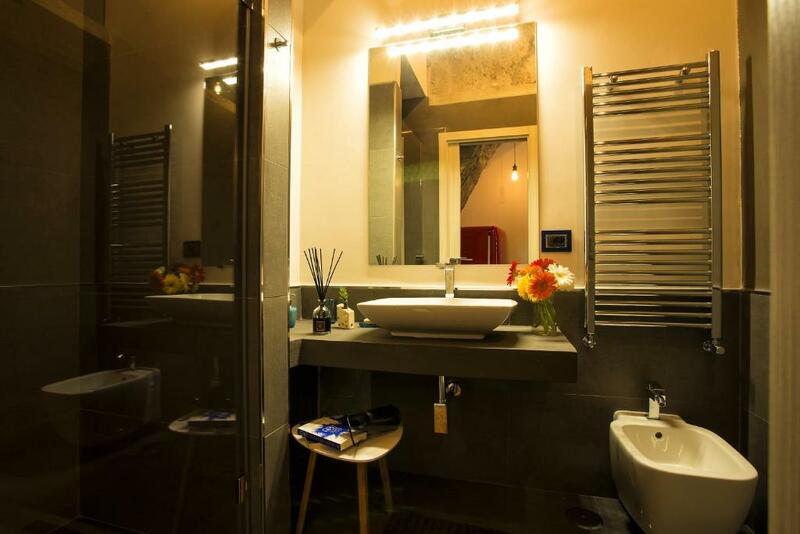 Furthermore, Tannery Suites are situated in a strategic position, being at the same distance from the most sought for tourist destinations, such as Naples, Pompeii, Positano and Amalfi, that are easy to reach either by train, bus or car, and are not far from the beach. Tannery Suites consists of two open-space apartments, a one-room apartment that consists of a bedroom with a double bed, an equipped kitchenette and a bathroom with shower stall; a two-room apartment with an ample and equipped kitchen area, a bedroom with a double bed and a bathroom with a shower stall. Both apartments offer free Wi-Fi, air conditioning and heating. House Rules Tannery House Stabiae Sorrento Coast takes special requests – add in the next step! Please inform Tannery House Stabiae Sorrento Coast of your expected arrival time in advance. You can use the Special Requests box when booking, or contact the property directly using the contact details in your confirmation. Super friendly!!! Thank you for your hospitality! Bedlights for reading would make the appartement totally perfect.